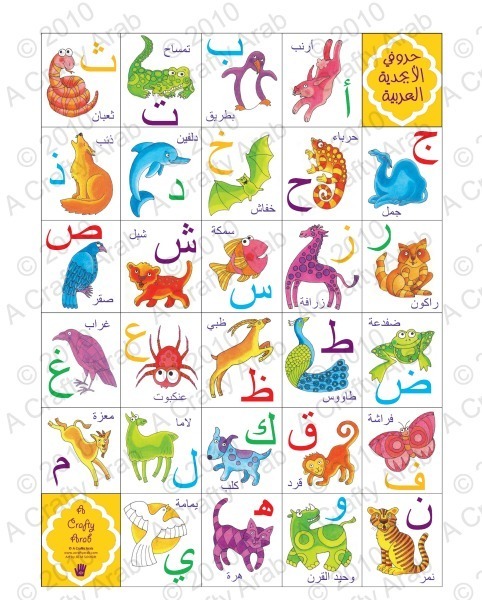 This Arabic Colors Animal Poster is perfect for your children’s room, play area, classroom, or nursery. 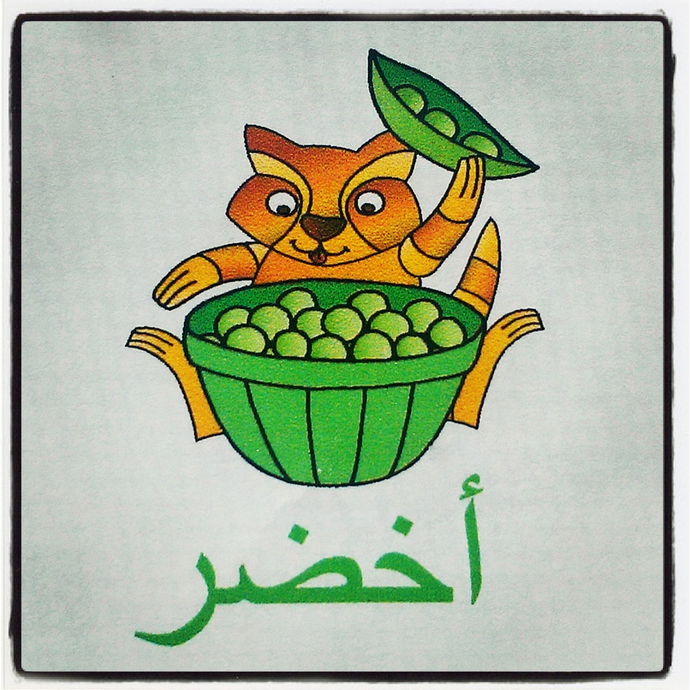 It was created with eleven of the animals from the Arabic Alphabet Animal Poster. 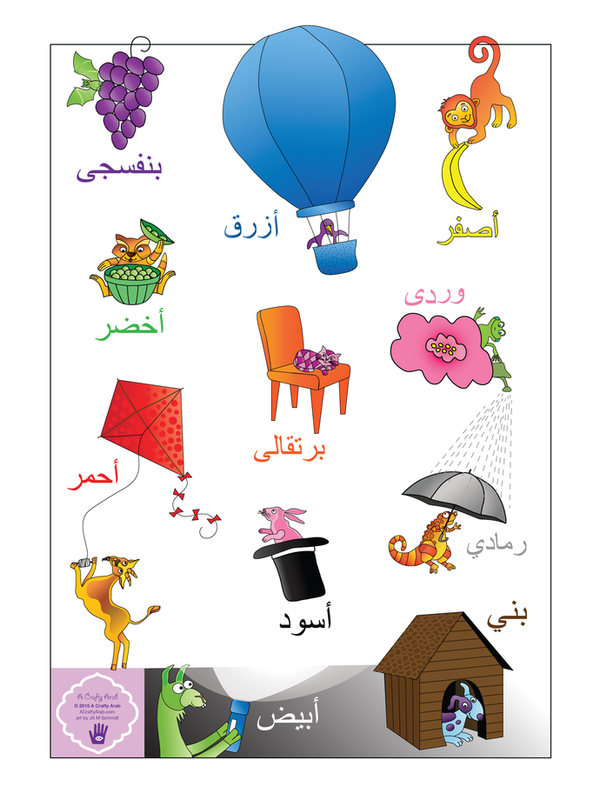 The Alphabet Poster can be seen in the third photo and is also available in my Zibbet shop. I once again got together with my fellow ex Arts Commissioner Jill Schmidt, a children’s book illustrator, to create these beautiful, new Color Poster images. The animals are all unique designs that we created together and are our original copyright drawings. This beautiful piece of artwork is professionally printed on 100# matte paper, measures 18x24 and comes with a white margin for perfect framing. It will be shipped to you unframed in a tube mailer. Orders usually ship within 3-6 business days from receipt of payment. I will notify you if it will take longer.